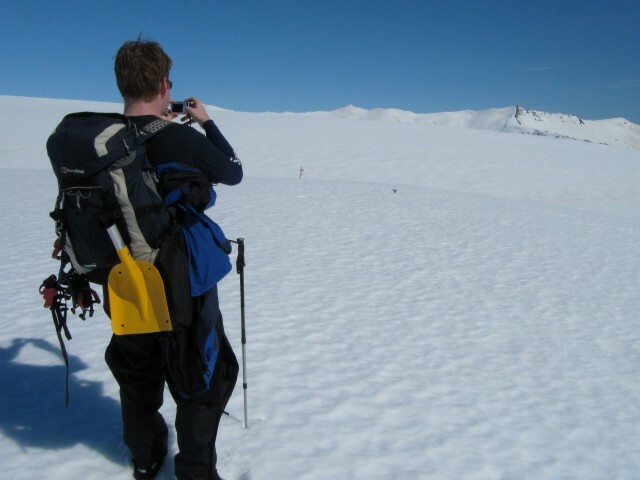 We are back in Iceland on June 6th – rather early for the snow it seems! 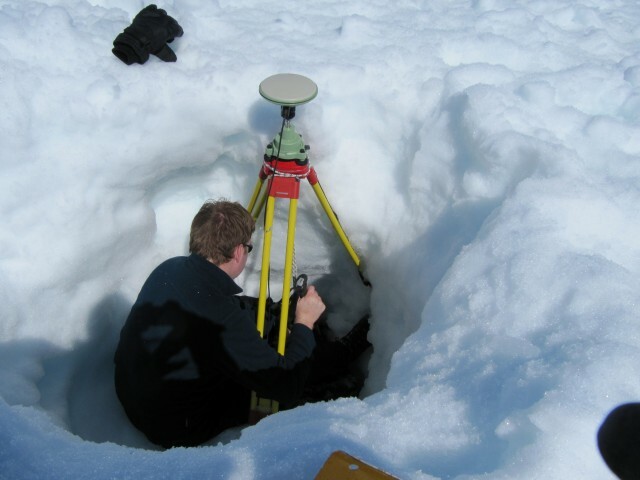 The snow on the moraine and road was very deep. Here you can just see the top of the GPS antenna (which is on a tripod!) and the camera. 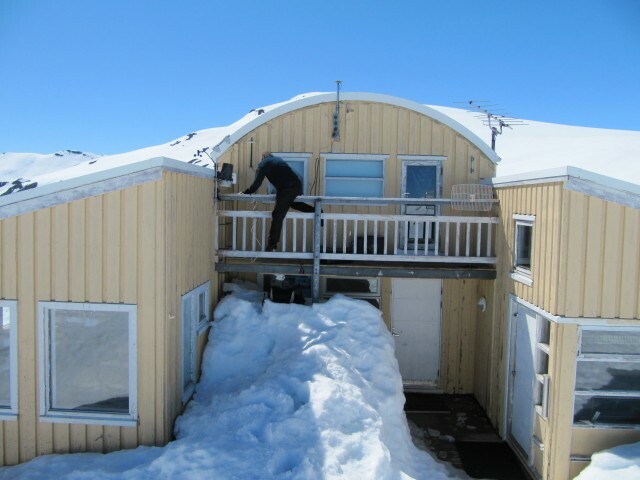 we usually use the ladder to get up to the balcony where our reference station lives – but there was so much snow we could just walk up! The panel wifi antenna had self-destructed but the long range WiFi was still ok. This entry was posted in News by Kirk. Bookmark the permalink.